The best part about the world of art is that it's infinitely explorable! By putting a brush to canvas or a hand to clay, artists can explore and express the entirety of human experience, from boundless joy to terrifying sadness, even common or trivial thoughts and feelings. But how to explore the mysterious unknown? In order to check out what other artists and fans of art are creating, thinking, and saying, it's necessary to step outside of the studio. Obviously, the world's museums have collected troves of inspirational and thought-provoking work from across the generations, but there is an even greater source of art available for all budgets: art books and media! As anyone who has tried knows, mastering an art form is one of the most challenging things a person can do. Some artists were simply born with the talent to develop incredible skills on their own; others spend considerable time and resources working to attain their talents. Unfortunately for the world, not everyone with a creative vision finds themselves with sufficient time and money to seek instruction. Similarly, many art fanatics are unable to travel abroad and elsewhere to view in person their favorite masterworks. For years, these people were simply out of luck—until MisterArt.com arrived! MisterArt.com has an incredible selection of art books online, and we're happy to ship them right to your door! That's right—not only does MisterArt.com guarantee to offer the most affordable art supplies online, we also guarantee that we offer the lowest-priced art books and media on the Internet! If we don't already offer the lowest price on the book, DVD, video, CD-ROM, or magazine that you want, we'll gladly match it! And don't forget—nobody has it sweeter than our VIP Savings Club members! These elite customers save up to 75 percent off of our entire stock every day. Perfect for rainy days and long trips! Our large collection of activity books includes art activities and projects that will keep your hands busy and your creative impulses occupied. Follow the guides and patterns in these books and create your own colorful post and greeting cards, holiday and party decorations, paper dolls, stickers and tattoos! Once you've scratched your creative itch, move on to books full of mazes, puzzles, games, and stencils. You won't just be killing time—you'll have something to hang on the refrigerator when you're done! Put an end to boredom (and high prices) today with MisterArt.com. Learn from the masters as you explore the limitless possibilities of airbrush art! Our library of airbrush books and media has priceless tips and tricks for beginners and old pros alike. Airbrush artists just starting out will learn how to properly maintain and use their new precision art tools to astounding effect from books written by pillars of the art form. Professional airbrush artists can stay current on the newest trends and techniques sweeping the industry from our selection of DVDs authored by airbrush innovators such as Vince Goodeve and Michael Cacy. Whether you're interested in learning more about advanced portrait techniques or cheap tricks and techniques for gas-tank flamejobs, we've got the books and media to get your motor running at MisterArt.com! Often the most sophisticated buildings get their start as quick sketches in a moment of sudden inspiration. During the long process of careful refinement, these same sketches take shape and emerge as the buildings we see before us every day. But how?! The answers are out there…in hundreds of books devoted to architecture! In our books, world-class architects will walk geniuses and novices alike through the process of sketching, planning, and building the structures of their dreams. Interested in the decorative iron work of the Middle Ages? Or putting in a game room above the garage? We've got the books to help put your ideas into motion. From Gothic ornament to architectural model building, learn how the masters did it—then try it yourself! A must for any serious art student or teacher, art reference books compile centuries worth of priceless art knowledge and examples into easily-digestible formats. MisterArt.com has all the information you need available online, whether you're researching Renaissance masterworks, artist biographies, color mixing, or obscure art terminology. Our books on the art business will teach beginners and seasoned artists alike how to become a player in the world of buying and selling art. If you're more interested in simply improving your composition skills, check out our books on color theory. And of course, no art thesis could be completed without citing a few of the titles contained in our library of texts on noted artists and their portfolios. As always with MisterArt.com, we'll ship the books anywhere in the U.S. You won't even need a library card! Whether you're looking for a little instruction or just inspiration, our super-affordable books on ceramics will fire you up! Our library of instructional how-to books can help both beginning and advanced artists expand their creativity, conquer technical obstacles, and investigate new media related to ceramics. Each book explores the materials and methods of a specific medium and includes step-by-step demonstrations, helpful tips, and comprehensive instructions. Once you've mastered the techniques to accomplish your vision, take a look at what others have done and reach even further! The examples of porcelain and hobby ceramic ideas that you'll find in MisterArt.com's selection of ceramics books is unmatched on the Web, in both price and quality! Of immense value to commercial artists, designers, and students and teachers of graphic art, our authoritative collections of clip art will fascinate anyone interested in graphic arts. Our books and CD-ROMs full of easily-reproduced and colored black-and-white illustrations offer the perfect finishing touches or reference for advertisements, newsletters, scrapbooks, signs, school projects, and more. MisterArt.com guarantees the web's best deals on clip art related to a vast assortment of subjects, including animals, designs and motifs, floral designs, color illustrations, historical designs and fashions, holiday décor, people, and places. By purchasing these low-cost repositories of art, you're buying the rights to use each illustration any way you see fit! Rediscover an incredible pastime from your childhood—or help pass it on to the next generation! Coloring books have been a soothing method of relaxation and a playful outlet for creative expression for a long time. Whether you prefer to use crayons, colored pencils, markers, watercolors, or other art supplies, adding color to books full of line drawings is a fun, simple way to scratch that artistic itch. The only problem is that the coloring books you find at the grocery store are boring and generic! Not so at MisterArt.com! We have hundreds of coloring books featuring many amazing subjects, from historic American landmarks to famous masterpieces to Victorian dress styles! If you're sick of coloring Spider-Man, why not give the tall ships of the Spanish Armada a try? Come and browse our selection of coloring books featuring subjects including animals, children's favorites, designs and motifs, famous art works, historical themes, holiday scenes, people and places, plants and flowers, and stained glass. Remember, our VIP Savings Club members save up to 75 percent off of our entire stock every day! Feeling crafty? With a little instruction and a lot of imagination, the keepsakes and knick-knacks you've been making and giving as gifts for years can be turned into professional works of art! MisterArt.com's selection of books and media devoted to crafts and hobbies will show you everything you need to know to get started and take your work to the next level. Learn the basic techniques and professional tips and tricks that go into creating original works using book binding, general crafting, gold leaf, jewelry making and beading, leather working, lettering and calligraphy, metalsmithing, mosaic and glass art, origami, papercraft, polymer and hobby clay, and woodcraft. We'll match any price on these books that you find online! Only MisterArt.com makes that guarantee. Want to learn to draw? Or do you want to learn to draw better? MisterArt.com can help! By reading about the techniques used by masters to recreate line, shape, light, and shade, you'll learn step-by-step how to capture the look of metal, glass, wood, skin, hair, and other textures. Start-to-finish demonstrations will show you how to use these techniques to create drawings that leap right off the page! No matter what style of drawing you're interested in improving, we have low prices on books that can show you how. 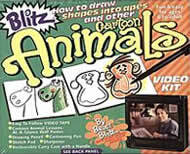 Animals, cartooning and animation, general drawing technique, human figure and portraiture, land and seascapes, manga and comics, and perspective are all topics well covered by our library of titles. By buying at MisterArt.com, you'll ensure that these drawing books are sent directly to your address—fast! The world's best fashion designers live by a simple saying: "If you can draw it, you can sew it!" Learn how with MisterArt.com's fab collection of books and media related to fabric and fashion design! Whether you're searching for a how-to book on basic fashion illustration or a CD-ROM full of clip art featuring Japanese textile designs from the Middle Ages, you'll find it discounted right here. The simple illustration techniques outlined in these books will jumpstart the beginner's creativity just as quickly as they'll refine the professional's approach. From period fashions to exotic hairstyles to lush curtains, you'll read about the processes and patience it takes to turn the fabric and fashion designs in your head into next season's hottest lines! You can't learn it all from HGTV! If you feel like scratching a creative itch every time you pass an antique store, it may be time to get serious about furniture and home decorating. Our library of books and videos includes lessons on how to flip old furniture from run-down to tricked-out. Using simple and advanced woodworking, finishing, and upholstering techniques, you can turn any living space from mismatched mess to elegant ambience. If you're looking to take the leap into making a living, MisterArt.com has fantastic prices on books containing practical guidelines on how to value the cost of designing commercial or residential interiors. From the designer's creative input to the pricing of decorating products and procedures, budding interior designers will learn to establish prices and budgets that satisfy their clients and make their business profitable. Thanks to our prompt shipping, you can crack a book and take your first steps today! Designers are working these days in a complex web of technologies—and making money doing it. For those of us on the outside looking in, it seems like an amazing world that we'd love to join, if only we knew how! Luckily, nothing's impossible with a little research and preparation. MisterArt.com can help! Our practical reference books provide the essential resources every good designer needs at his or her fingertips. Answers to questions like how to get the best results out of computer software and equipment or how to avoid errors that bring disaster to schedules, client confidence, and costs. We've also got the Internet's best swipe files for new clipart and letterhead and logo design projects from top international designers, so you'll always have a great place to start. There are many aspects of painting for artists to constantly improve upon, which is why there is no shortage of books on painting to help them achieve their goals. From technique to color to inspiration to framing, if it's a consideration to a painter, it's been written about! By shopping online with MisterArt.com, you can browse hundreds of books and DVDs quickly and easily without ever leaving home! Our browsing system makes it easy—you can take a look at books devoted to a specific topic, like acrylics, watercolors, oils, decorative painting, mixed media, land and seascapes, portraits, and much more. Or take a look at our user reviews and get a better idea of which books are the most helpful! No matter what aspect of painting you'd like to know more about, we'll happily ship books and DVDs to you anywhere in the U.S., and fast! Pastels and dry media are unique and require a different set of skills than paints, inks, or pencils. Often, even skilled artists are intimidated by the thought of mastering a new medium, especially one that can be as tricky (and messy) as pastels. MisterArt.com wants to see that change, and we're ready to help! Our collections of pastel books and media will break down the mystique surrounding these chalky sticks and open artists' eyes to the possibilities they contain! 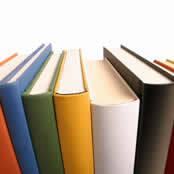 Whether you're a beginner or a pro, the books and media available on our site have pastels covered. Beginning with materials and methods before moving on to practical, step-by-step demonstrations, masters share with readers the time-tested theories and techniques they employ in producing stunning pastel paintings. You'll learn how to blend hard and soft pastels into gradations of opaque and transparent colors, bring contrasts of bright light and dramatic shadows to your paintings, build basic shapes into realistic three-dimensional forms, handle perspective and create the illusion of depth and space, and design animated, balanced compositions with eye-catching focal points. And hey—did we mention that MisterArt.com guarantees the lowest prices on the Internet? You've got stacks of books filled with your photos, but if you're serious about improving your photography skills, it's time to crack a few books ABOUT photos! Digital technology is revolutionizing photography as we speak. Whether you're sprinting to catch up with the latest tech developments or struggling to find your way around an old-school darkroom, you're in luck. MisterArt.com has all of the instructional tools and reference materials you need to take your work to the next level. We've got books covering photography basics, how to build your own photo business, painting from photos, and how to use Photoshop to make your work shine. You can browse our online stock of photography books 24/7 at MisterArt.com, and we'll ship whatever you need anyplace in the country! Is your art primed for mass production on a do-it-yourself scale? Printmaking is the answer. Even if you don't have quite enough time for a printmaking apprenticeship, though, MisterArt.com has the next best thing—all the info you need to start yourself down the path to making and selling prints! Monotype, relief printing, intaglio, collograph, screenprinting, and lithography: all the major printmaking processes are thoroughly explained in our comprehensive reference guides. Our books will guide beginners step by step through the history and techniques of over 45 printmaking methods, from the traditional etching, engraving, lithography, and relief print processes to today's computer prints, Mylar lithography, copier prints, water-based screen printing, helio-reliefs, and monotypes. Don't forget, members of MisterArt.com's VIP Savings Club have up to 75 percent chopped off the price of our entire stock, so you have no excuses not to get started! Books about books? They're not simply more evidence that the universe is collapsing in on itself, they're evidence that MisterArt.com knows what scrappers want! Scrapbooking is one of the world's fastest-growing hobbies, and the horizons of these creative keepsakes are expanding every day! Check out what directions scrappers from around the globe are taking their hobby in and gain a little inspiration for the homefront. Before you know it, your friends, family, and neighbors won't have time to groan when you pull out the scrapbooks—they'll be too busy gasping in awe! MisterArt.com has books filled with innovative scrapbooking projects, including travel journals, modular books, wired books, and books within boxes. You'll find project templates that make book construction a snap alongside expert advice and valuable tips on bookmaking tools, materials, and techniques. If you're looking for imaginative variations to give each project a unique twist, MisterArt.com has the final word when it comes to scrapbooks! If there's one thing sculptors know, it's that taking a hands-on approach is the best way to understand information. That's why anyone interested in the world of sculpting should get their hands on as many useful books and reference materials as possible in order to broaden their understanding and skill in the art form. MisterArt.com has stacks of great books written on sculpting topics from carving techniques to tips on selling your sculpture. Whether you're interested in carving, molding, casting, potting, or flameworking, we've got the references you need to grow and expand from dedicated amateur to accomplished professional. Our customer reviews put the power in the artists' hands—judge for yourself a book's usefulness before you buy based on the advice of your peers! Can't find what you need at Blockbuster? That's why MisterArt.com is here! From classic, soothing episodes of "The Joy of Painting" with Bob Ross to quirky instructional videos on topics such as "The Art of Glittering," we've got the cheapest art DVDs and videos that you'll find on the Internet. That's a guarantee! Learn how to create vibrant wax paintings in no time at all.